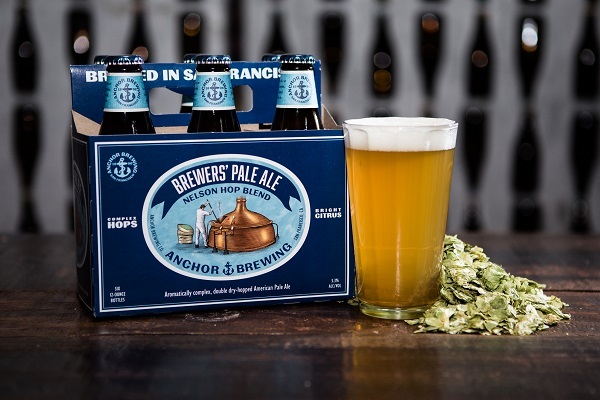 We asked Anchor’s brewers to create a beer just for them. What they came up with was Brewers’ Pale Ale, a bright and fruity American Pale Ale bursting with hop aroma and flavor. It was so good that we just had to share it. We couldn’t be more excited to introduce you to this latest brew on Anchor’s roster of beers! Brewers’ Pale Ale is an aromatically complex, double dry-hopped ale that’s crisp, refreshing and flavorful. 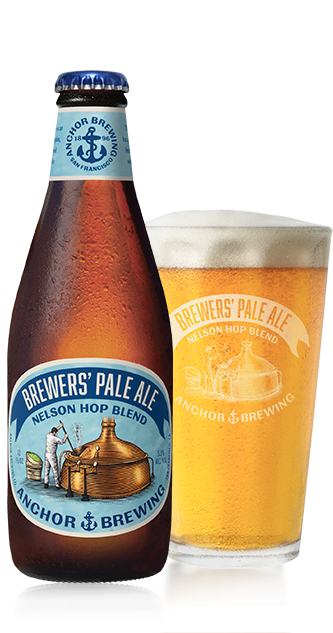 While the first version highlights the unique Nelson Sauvin hop from New Zealand, providing a deliciously fruity character, Anchor brewers will continue to experiment with different hop varieties, showcasing evolved recipes and new hop blends throughout the year. The flavor and the way the beer presents itself will remain somewhat constant, but each new blend will have unique aromatics. Wow! Sounds incredible. Can’t wait to see it out here on the East Coast!! Thank you for a wonderfully balanced and refreshing beer. Your new Brewer’s Pale Ale is spot on!